On our London Landscape Photography Workshops you will travel from east to west along the Thames and capture some beautiful images of London during the golden hour and also at night. Starting in the early evening we'll first capture the sun going down over Canary Wharf. 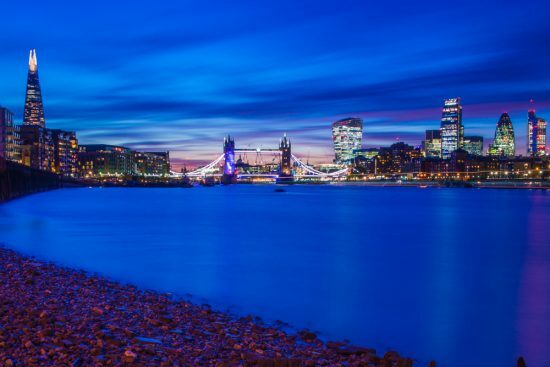 We'll then travel along the river capturing Tower Bridge, Bankside, the Shard, the Millennium Bridge, the London Eye and the Houses of Parliament along the way. We'll travel by foot and public transport and you will see, and photograph, London through the golden hour and into the night. 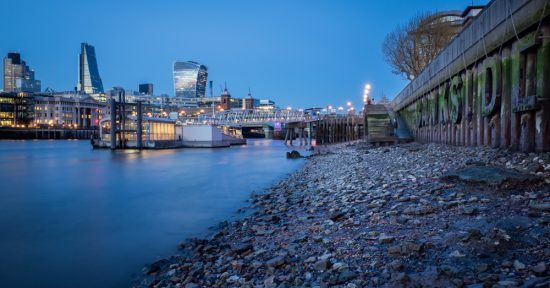 For London landscape photography the banks of the Thames gives great photography opportunities. The images on this page show the types of images we should be able to create. The best time for this type of photography is as day turns to night, and we'll be taking photos at the best time of day for London landscape photography. A 36exp tutor will be on hand to give you as much technical and creative input as you need to take the best possible photos. You'll be guided in the use of your camera, lenses, tripod and advised on the the use of filters. The minimum equipment required is a camera with lens, and a tripod. 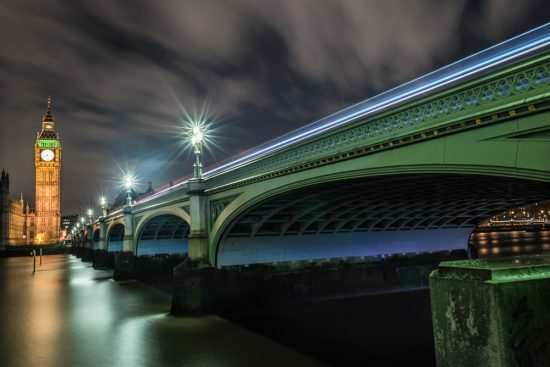 Based on years of running photography workshops along the thames, you'll be taken to the best spots to capture stunning images of London, and you'll be given guidance on camera settings and composition techniques which will improve your landscape photography abilities. The workshop starts at Canada Water and finishes in central London. It runs from 7pm - 10pm.